Sorry I have been MIA. It has been a crazy busy week. I took family pics of my cousin, her husband and little boy. They are sooooo cute. Thankfully she has been waiting patiently for a sneak peak because as soon as I did the pics my world got super busy. (I'll post one as soon as I look at them) Friday I worked and did the pics. Then my sister came up and brought the new puppy Inigo. Westley broke my heart. When Heather came in with Inigo, Wes was jumping around and waiting for her to set Buttercup down. Only I am sure you knew I accidentally ran over Buttercup. When Westley realized that the dog she was carrying was not his girlfriend he moped. He was the saddest most pathetic lil puppy ever. Then he got mean and started growling at Inigo. I had never heard him growl before. I kept him with me Friday night and Saturday Heather and I got up EARLY for Abbey's first real band competition. We had to leave the puppies alone all day and I was sooooo worried. We came home to two doggies that had bonded and were playing together. Wes has even seemed happy again. My journey to find Heather a new Shih Tzu made me realize I'd like to start a shelter for Shih Tzu's. I am not in a location that I can do that yet, but it is a goal. I think I'll call it, Princess Buttercup's home for wayward Shih Tzu's. 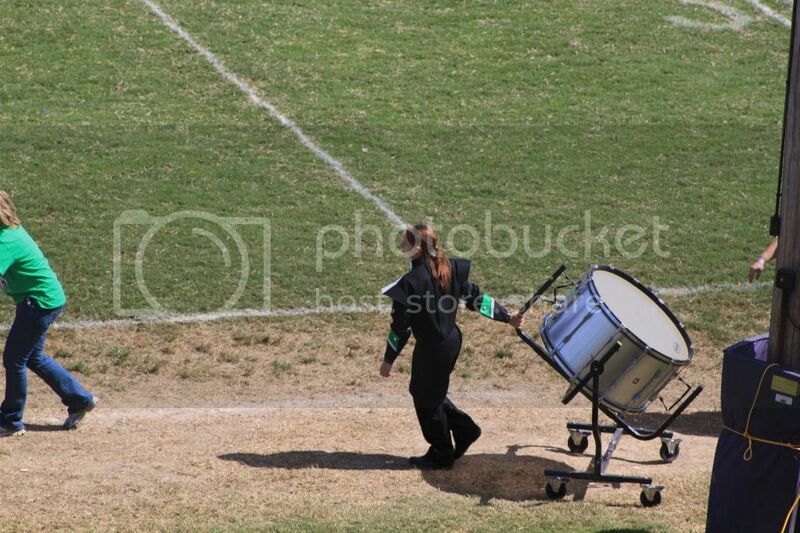 Ok back to the band competition. It was a beautiful day. but we were there until about 11pm after leaving out house at 8a. We didn't get home until after 1. I was so tired I just fell into bed. Here are some pics of the competition. 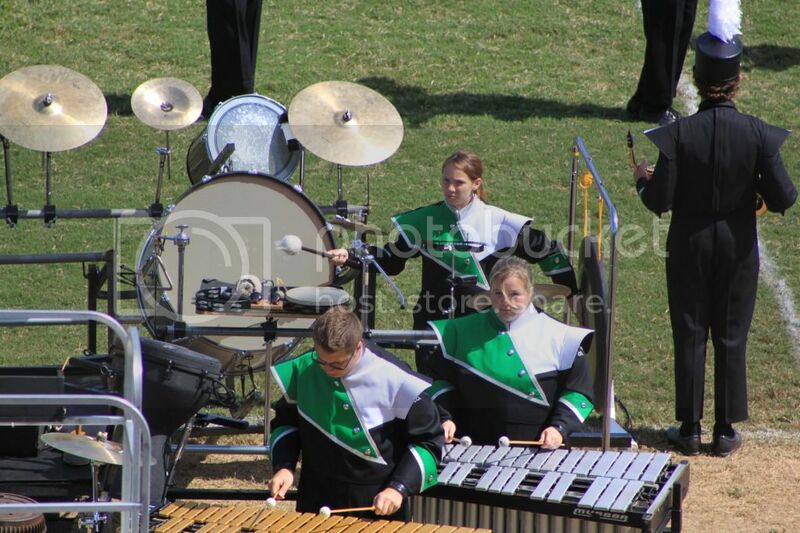 Abbey's band won EVERYTHING in their class. 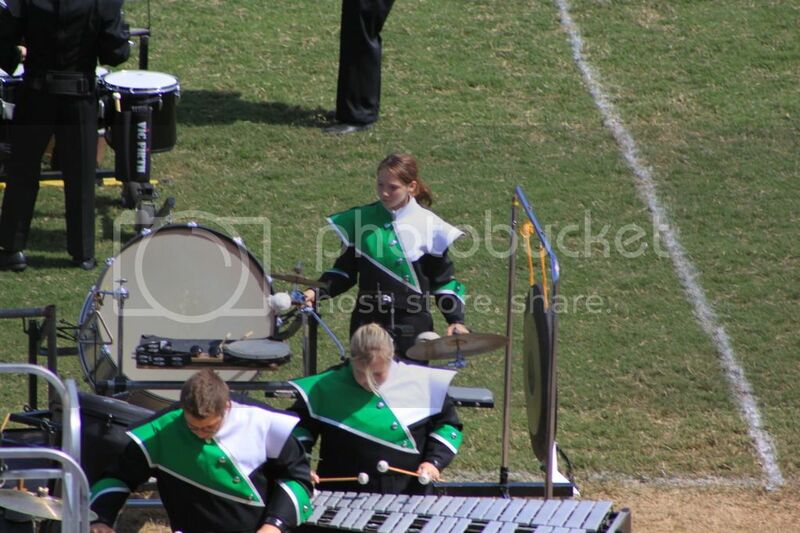 Best Percussion (she was happy about that) best color guard, music, general effect, and visual and 1st in their class. It was an awesome night. Although I am fairly sure I have pneumonia now. I just don't do well when I have been breathing night air, plus we were right over the grill so I was directly breathing smoke all night. My poor lungs just can't handle it. See don't I look too fragile for damp air and smoke? 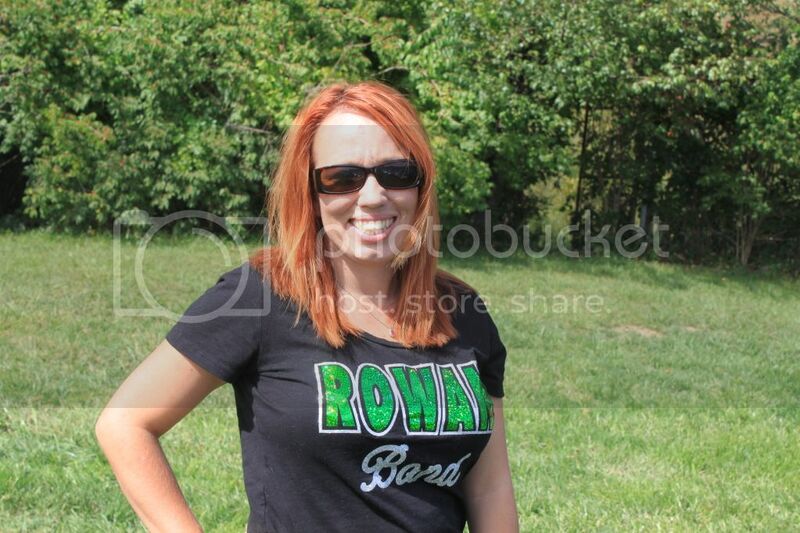 Today after work I had to pick Abbey up from band and then go to a PTO meeting. I didn't get to stay until the end because I had to get home to get the girls in the bath and bed. I hated leaving especially since I'm vice president. But kiddies come first. I've also been busy writing the guest post for Jess is More. I am so excited and can't wait for you guys to read it. Also I discovered this website Dogshaming. Needless to say it has made me laugh. I am so glad Wes doesn't eat things he shouldn't. I am thinking maybe I should shame him since he insists on peeing on the cat scratching pad. The cats are not impressed. And finally I bought new nail polish. Yeah I know that isn't a surprise. I horde nail polish like most woman horde shoes. But I REALLY love Sinful Colors and they have new colors perfect for fall. Now if I can just find time to dig my fall clothes out of the closet all will be right with my world. I will leave you with this pic I took on the way to the competition. 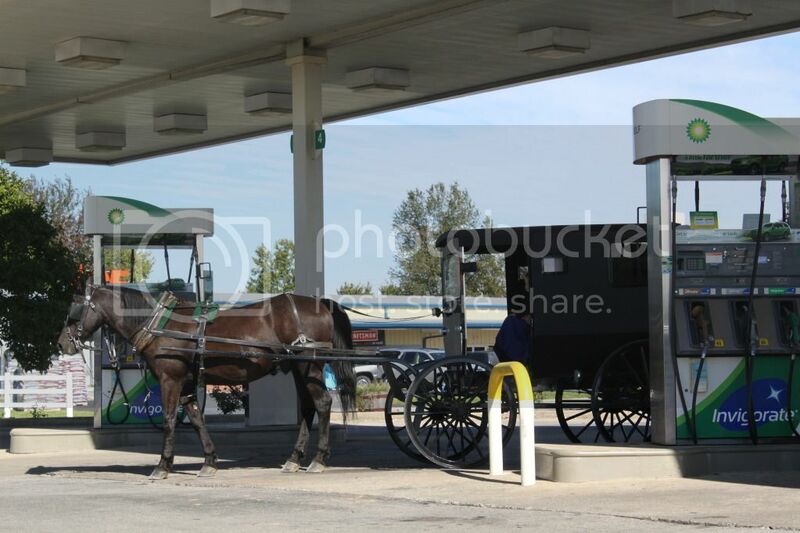 Even the Amish are effected by gas prices....who'd have thought.